We already knew that Australia was getting the Starlight Glimmer Build-a-Bear Plush on the 9th of March but it was yet unsure if the other countries would get her as well on that day. 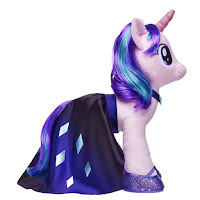 It was expected and it's true, Starlight Glimmer is now available. 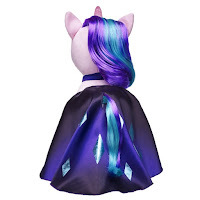 Along with her a special dress for her has also been released which would also look amazing with Rarity. 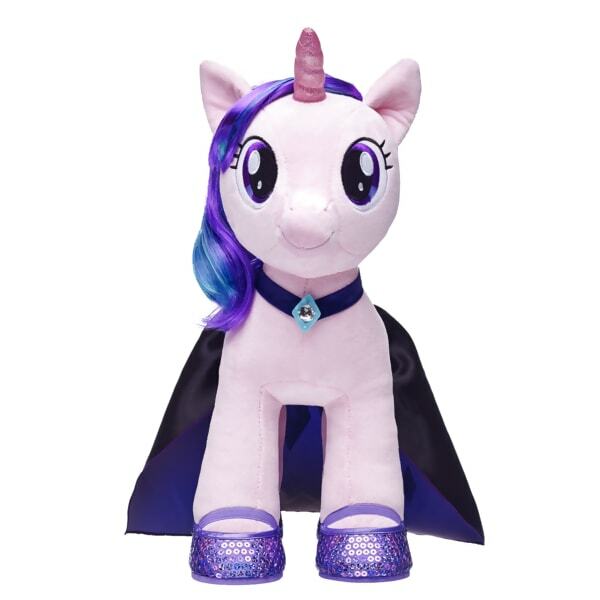 Still not every country will get her as the German Build-a-Bear doesn't offer her. (Minty also never got released) Have all the listings for each country below. Thanks to Gabrielle for the heads up! Yes, finally! I've been saving up for her. 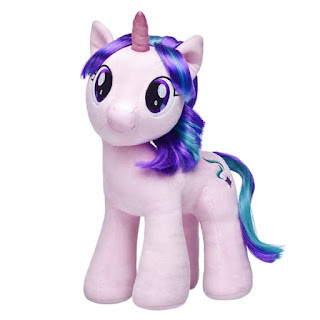 Now I'll have the complete collection, including my favorites, Trixie, Starlight, and Minty! SIDE NOTE: I am pleased with all details on this Build-a-Bear, except her coat color. It looks so...faded. But the hair is fab! Pass, I'm still waiting on Queen Chrysalis.